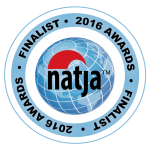 Touring museums is a great thing to do when visiting another city to gain insight into the area. 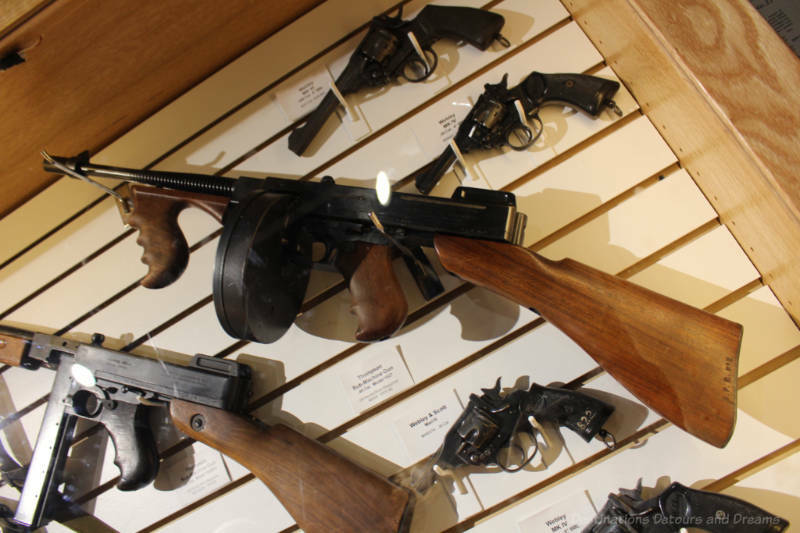 Visiting museums in your hometown can also be fun and enlightening. Specialized museums offer unique perspectives. 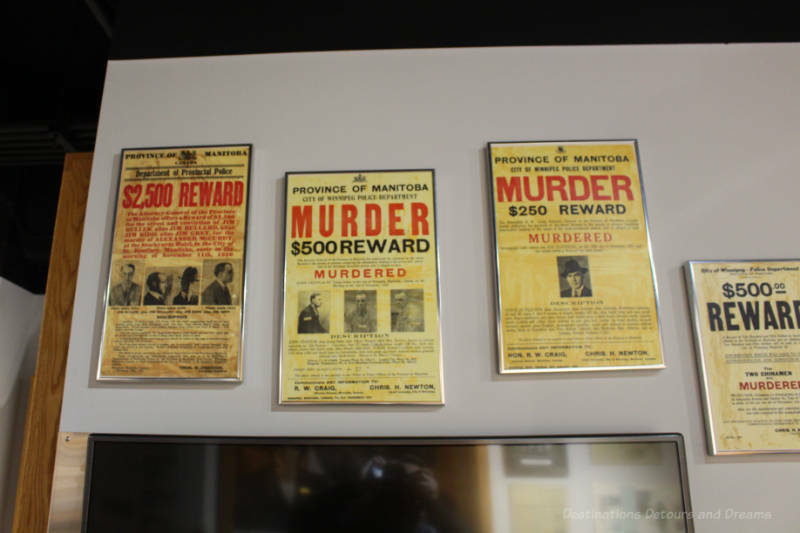 Through its displays of artifacts relating to the history of the Winnipeg Police Force, the Winnipeg Police Museum in my home city of Winnipeg, Manitoba, Canada provides insight not only into the history of policing over the years but a glimpse into local events and the social climate in which the police force operated. 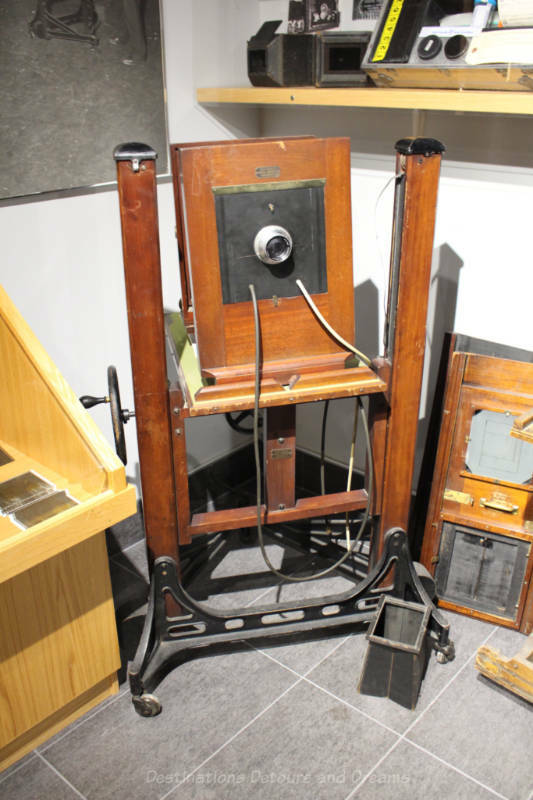 Displays in the museum include physical objects, uniformed mannequins, old photographs, newspaper clippings, artwork and written information. 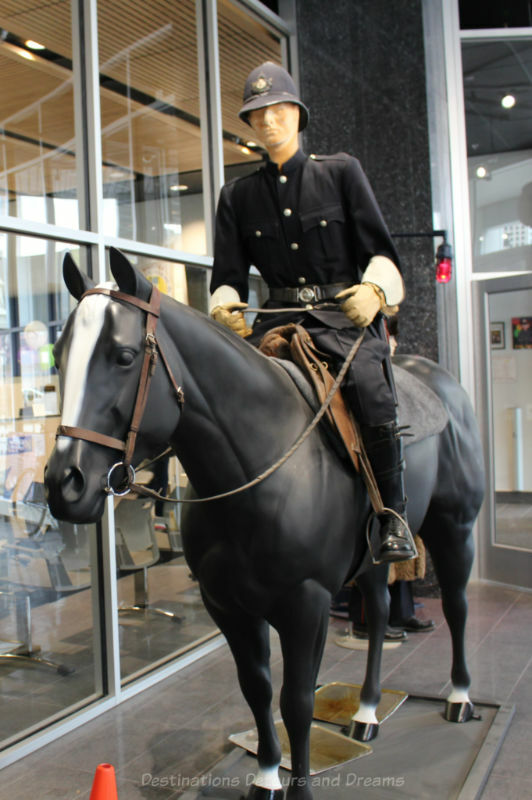 The Winnipeg Police Force was created in 1874, a year after Winnipeg was incorporated as a city. 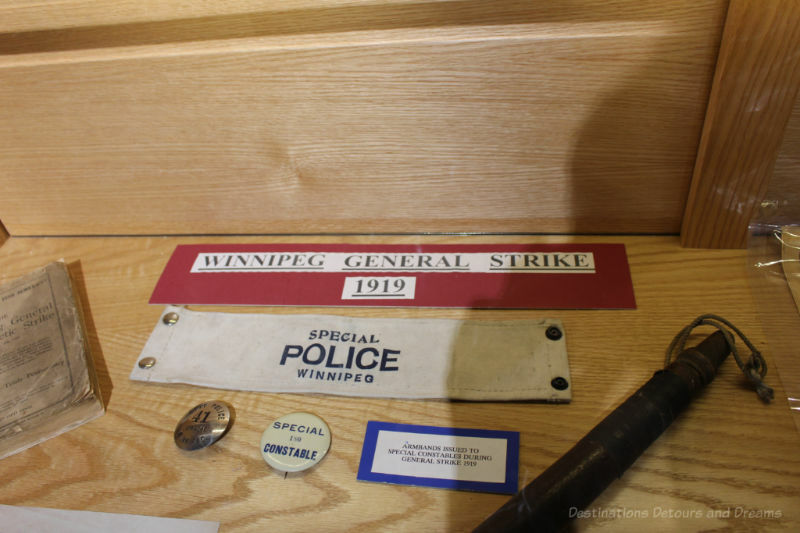 As Winnipeg grew, other communities formed around the outskirts, each with their own police forces. 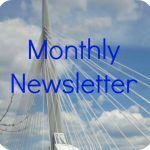 In 1972, Winnipeg and twelve municipalities around it amalgamated as one city. It took two more years, until 1974, for amalgamation of individual police forces to complete. 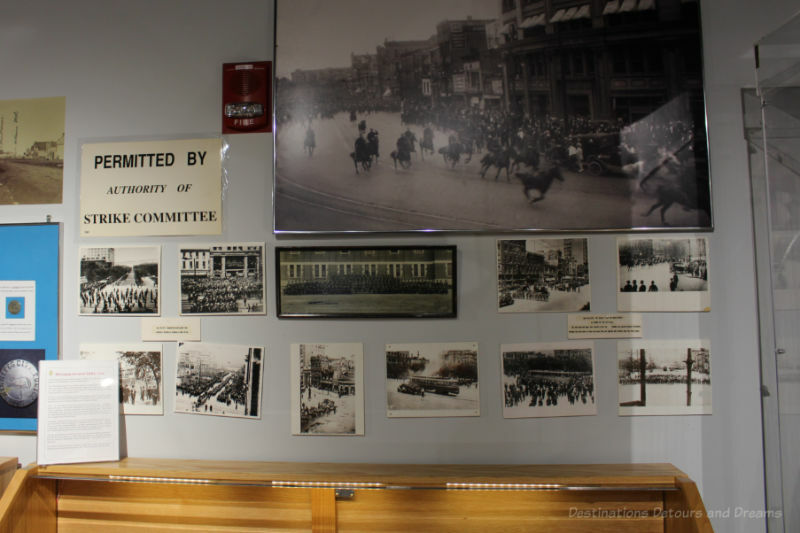 Display cases at the museum feature information about the individual community forces. 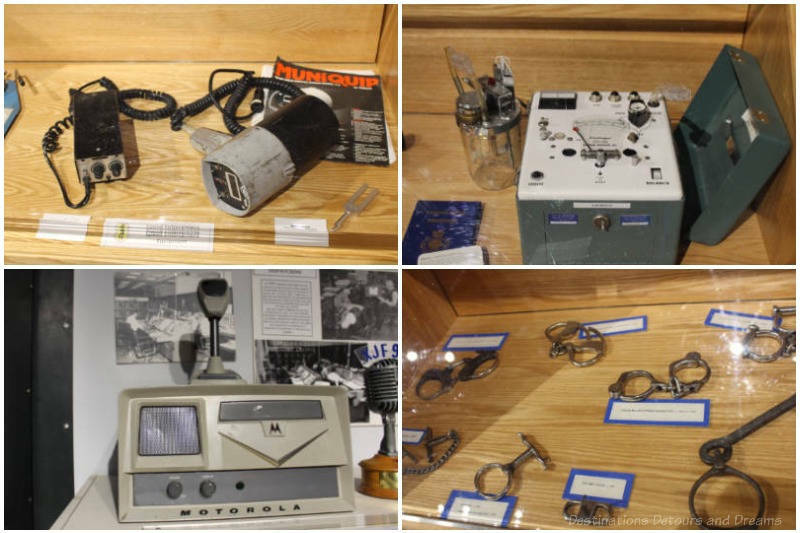 The museum provides a look at police techniques and processes over the years. 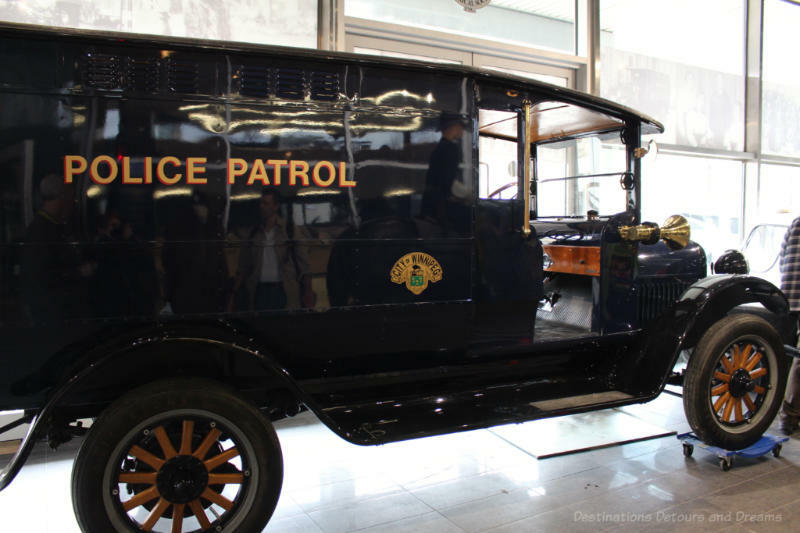 A 1925 REO Speedwagon Patrol Car, purchased by the Winnipeg Police soon after it came off the assembly line in Lansing Michigan, is on display. The body was constructed by Lawrie Auto Body Works of Winnipeg. It was sold as surplus in 1930. Found abandoned in a field east of Winnipeg, it was restored from the ground up between 1987 and 1990. Call boxes like the one in the above photo were introduced in 1913. Winnipeg was the first city in North America and the third in the world to use these boxes. An officer would pick up a handset and dial a number to speak with a dispatcher. 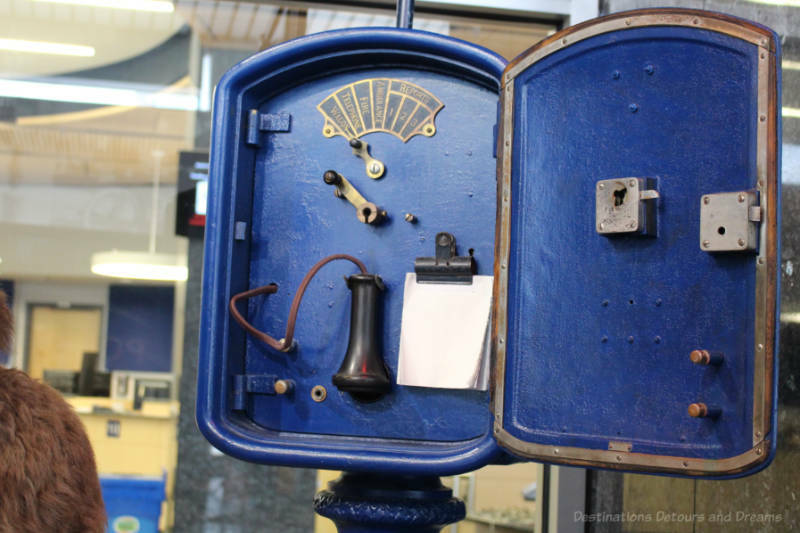 After the one-way radio system was implemented in 1931, call boxes were used by officers to acknowledge receipt of calls and to notify dispatch of completion of calls. 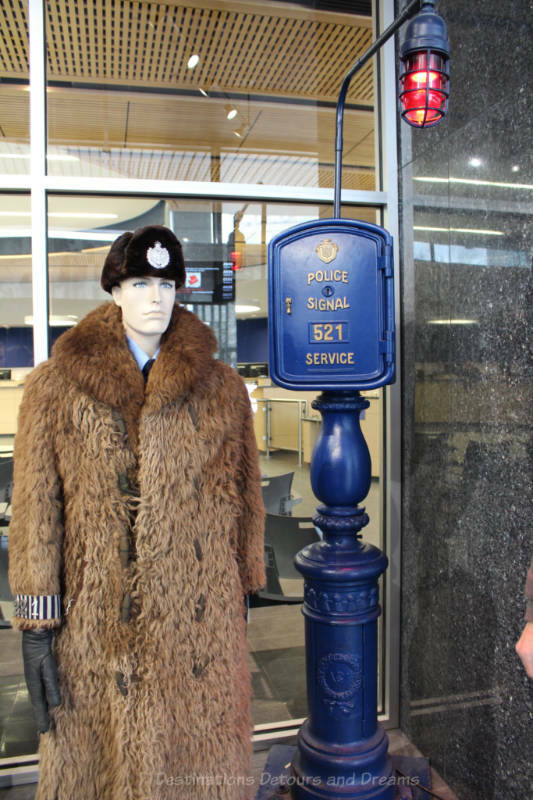 The mannequin beside the call box is wearing one of the distinctive buffalo coats made of bison hide Winnipeg Police beat cops wore for years. The coats were warm, thick and heavy. There are stories about officers being saved from knife wounds by the thickness of the coats. 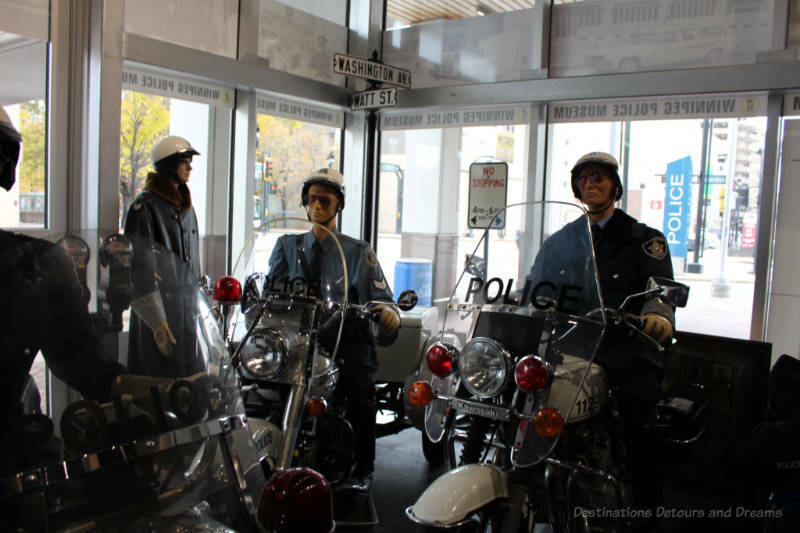 The retired policeman on duty at the museum when I visited said their use declined as the use of patrol cars increased. They were too warm inside the car and were heavy and awkward to take on and off as officers went in and out of their vehicles. 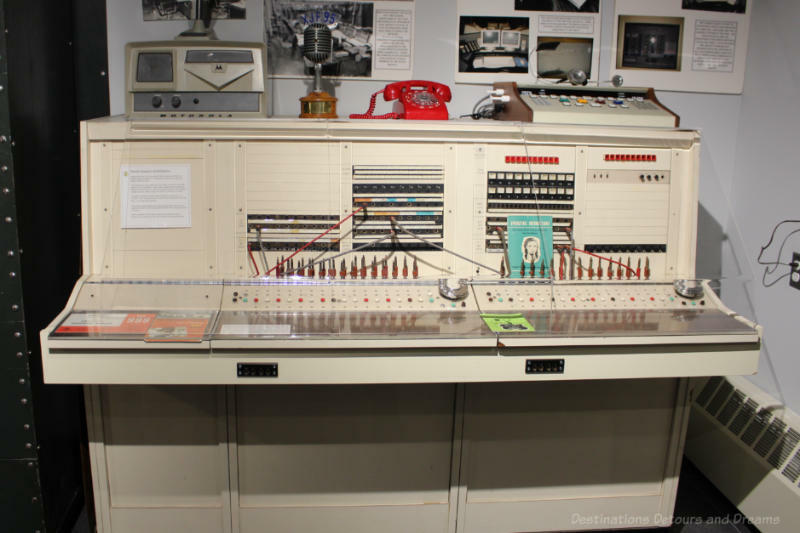 North America’s first three-digit emergency telephone system was introduced in Winnipeg in 1959. The original emergency number was 999. With rotary dial phones, it was felt it took too long to dial 999 and the number was changed to 911 in 1972. 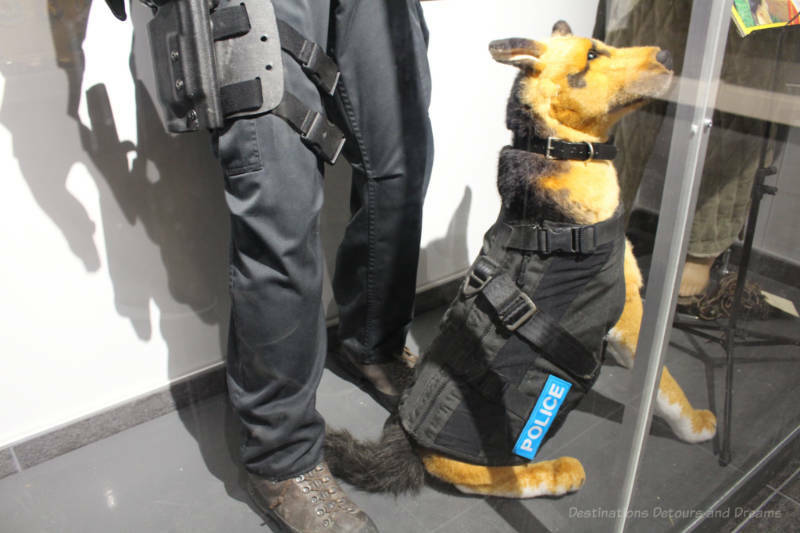 In 1997, when Constable Jim Slate was unable to find the type of body armor he wanted for his canine partner, he created his own and patented the K9 Storm, the world’s first custom-fitted vest for police dogs. Among the various displays about specific events in history is one about the 1919 General Strike. The general work stoppage to protest poor working conditions and pay rates that hadn’t kept pace with rampant inflation began on May 15, 1919 and lasted for six weeks. Politicians and businessmen called the strike a “Bolshevik uprising.” At its peak, over 30,000 workers were off the job in a city whose population was about 175,00 at the time. At the request of the Strike Committee, the police had remained on the job. However, when most of the members of the Police Union refused to sign a loyalty agreement prohibiting membership in any union or participation in any sympathetic strike, they were dismissed. The City then called on the Royal Northwest Mounted Police and military troops as well as hiring 1,400 “Special Constables” to patrol the streets in civilian clothing. They were identified by armbands and armed with “make-shift” wooden batons. The police union ceased to exist. Most of the dismissed officers were rehired after the strike, when they signed the loyalty oath. 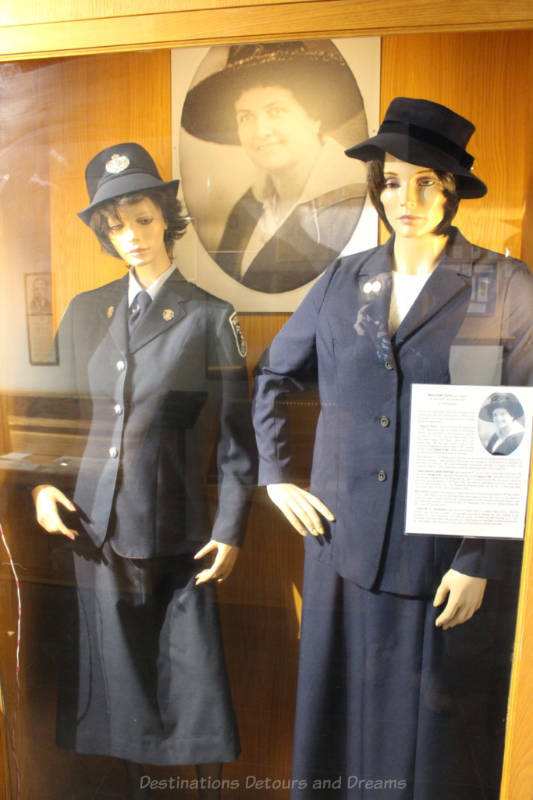 Uniforms and a series of newspaper articles tell stories of women in the police force. These stories are more than about policing, they speak to social attitudes of the times. 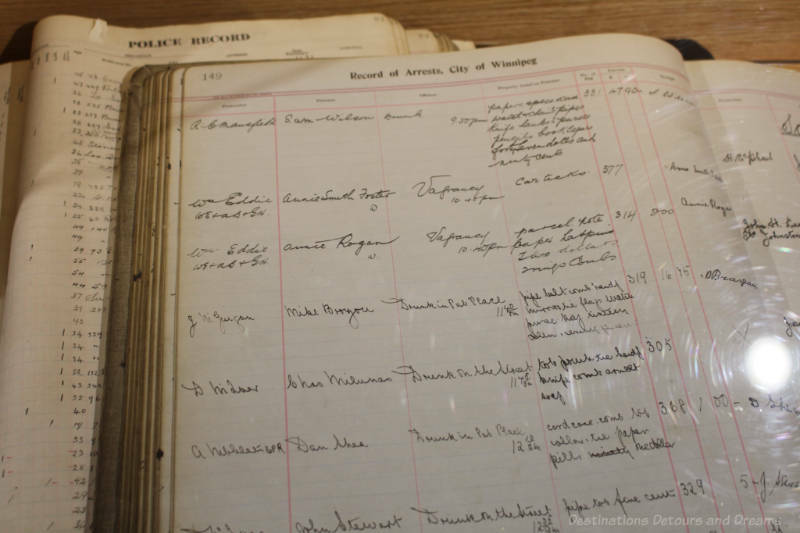 Mary Ellen Dunn, a 43-year-old widow, was one of the two first female police officers hired. She joined the force in December 1916 with duties to care for “Wayward Children & Women in Distress.” Jane Isabel Andrews, aged 44, was hired in January 1917. A 1978 Winnipeg Tribune article talks about the first two female constables to walk the downtown beat and the surprised stares they received as they patrolled some of the city’s toughest streets. The article also says both were usually paired with a man on patrol. 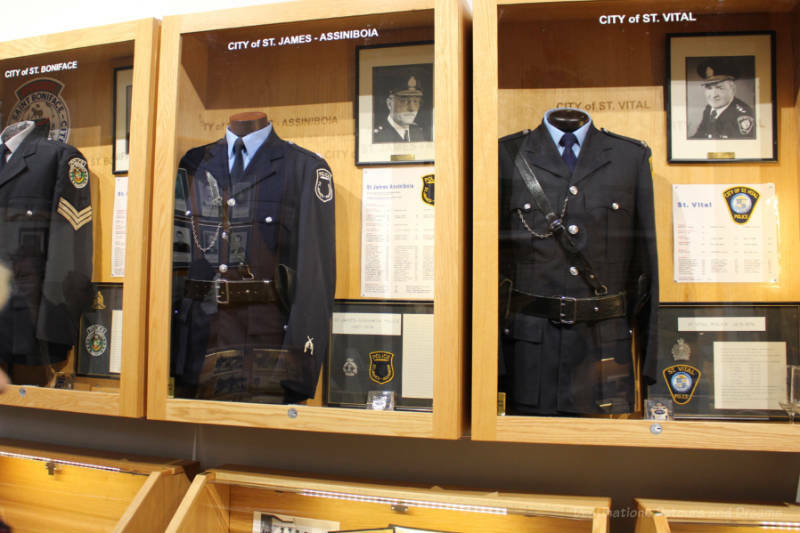 There are many more stories to be found at the Winnipeg Police Museum. 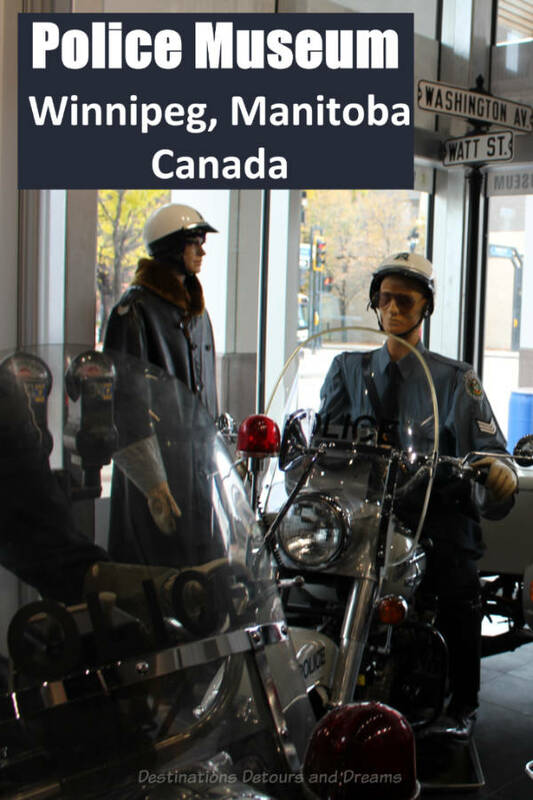 It is located at Winnipeg Police Headquarters in downtown Winnipeg at 245 Smith Street. The museum is open 10 am to 3 pm Tuesday through Friday, Admission is free. Never miss a story. 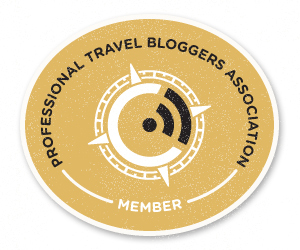 Sign up for Destinations Detours and Dreams free monthly e-newsletter and receive behind-the-scenes information and sneak peaks ahead. Wonder how long that 1911 jail cell was in use? Nothing to do in there but put your head in your hands. 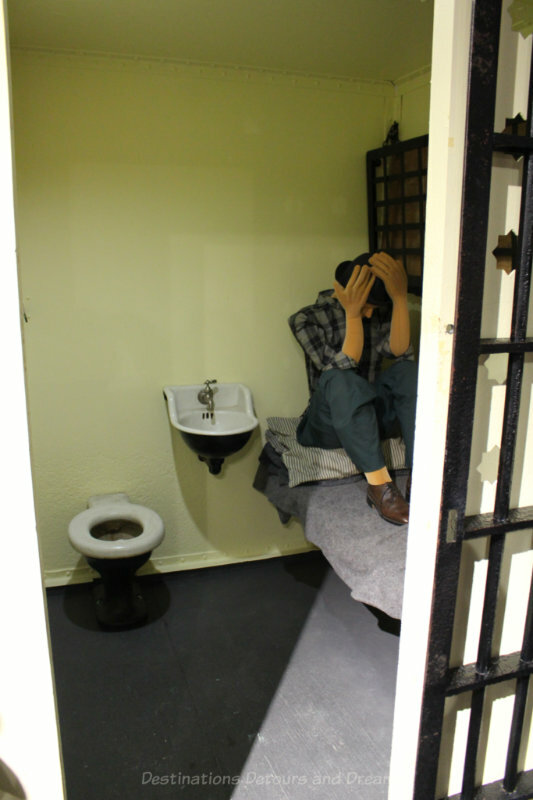 Ken, the cell was used for a number of years, but it was just a holding cell. I don’t think people spent more than 1 (maybe 2) nights there. Those not released after the night would be moved to a proper jail facility. 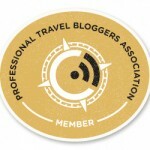 Don't wait to read new posts! Get notification sent directly to your inbox when an article is published. 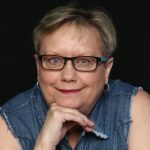 Donna Janke tells travel stories through narrative, photographs and personal reflection. For more information see the About page.